NGT2 helps businesses navigate their digital transformation goals with expert development of 3D, Virtual Reality, and Augmented Reality applications for training, field service, manufacturing and marketing. 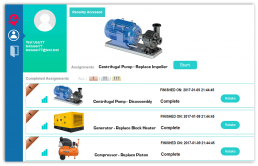 All of NGT2's 3D applications were built to help our customers improve efficiency for training, field service, marketing or manufacturing. 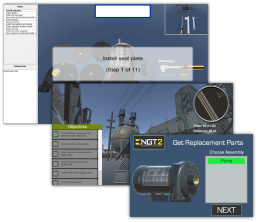 NGT2’s 3D Learning Management System (3D LMS) is the first built specifically for tracking and measuring employee performance on interactive 3D training. It operates over the cloud, extending the reach of 3D training anywhere with an internet connection.